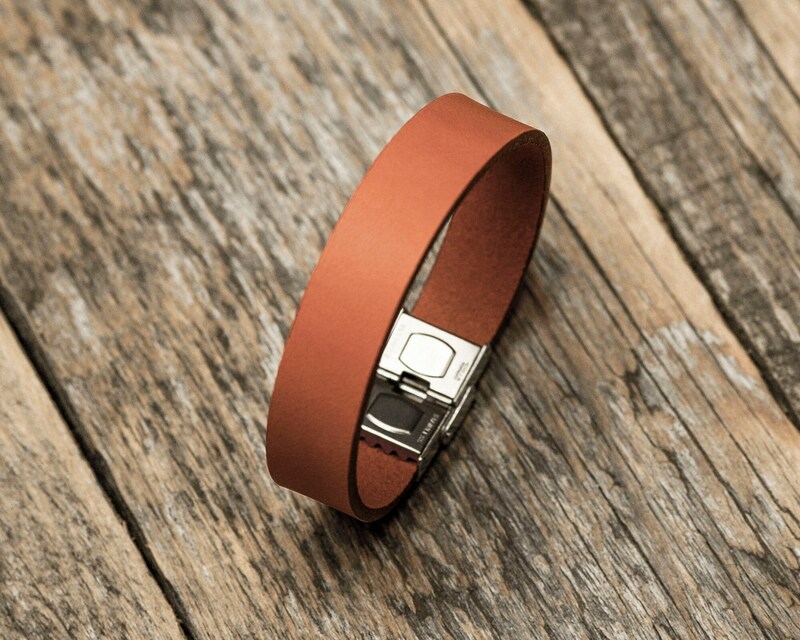 -Enjoy colorful handmade leather bracelet for everyday wrist wear also great gift for your loved ones. -High quality eather is vegetable tanned. Enjoy colorful handmade leather bracelet for everyday wrist wear also great gift for loved ones. 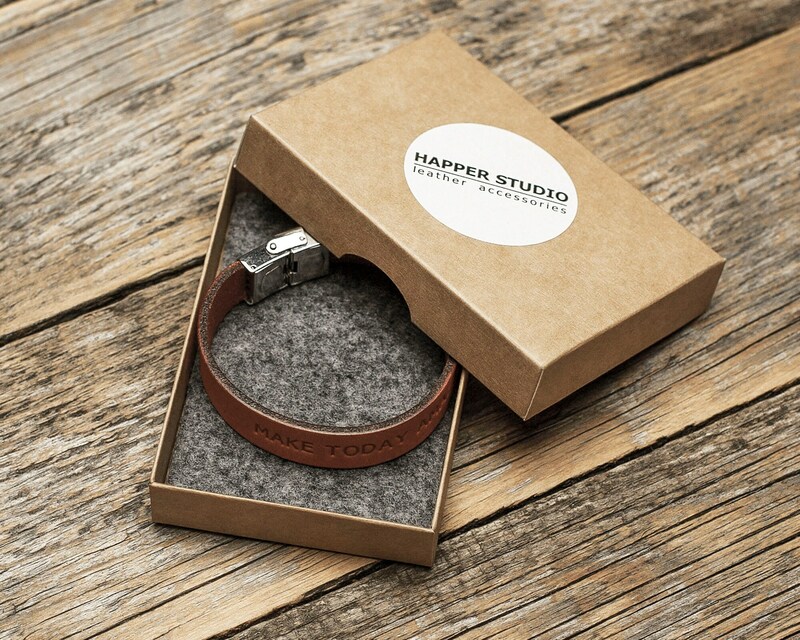 Not only is the leather impressive, but you can make these leather bracelets personalized to suit your own needs. Whether you want initials or a personal motto, please enter your custom text for engraving at the checkout, and we will be sure to emboss your product to your liking. This is traditional hot metal character pressing in to the leather. We don‘t use laser engraving. 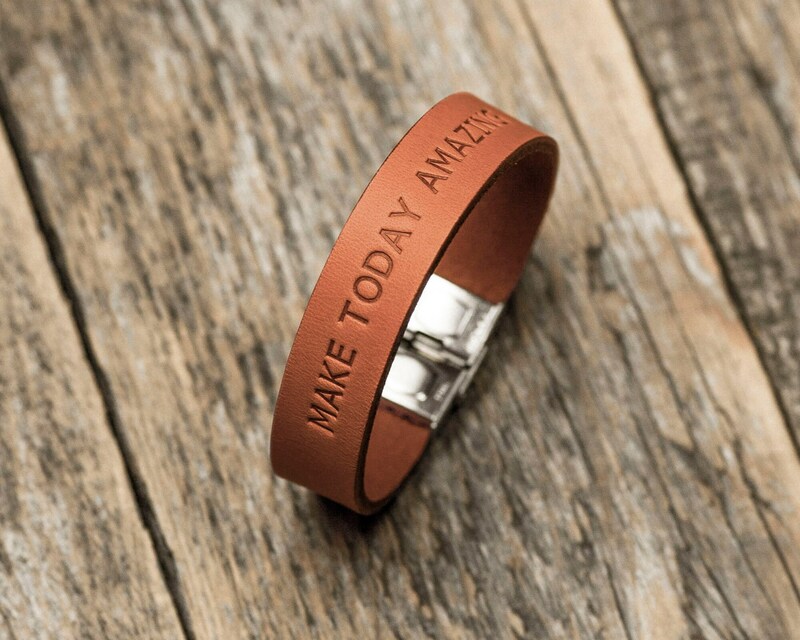 - Specify the message you would like to appear on the bracelet. You can have up to 25 symbols for your leather bracelet. 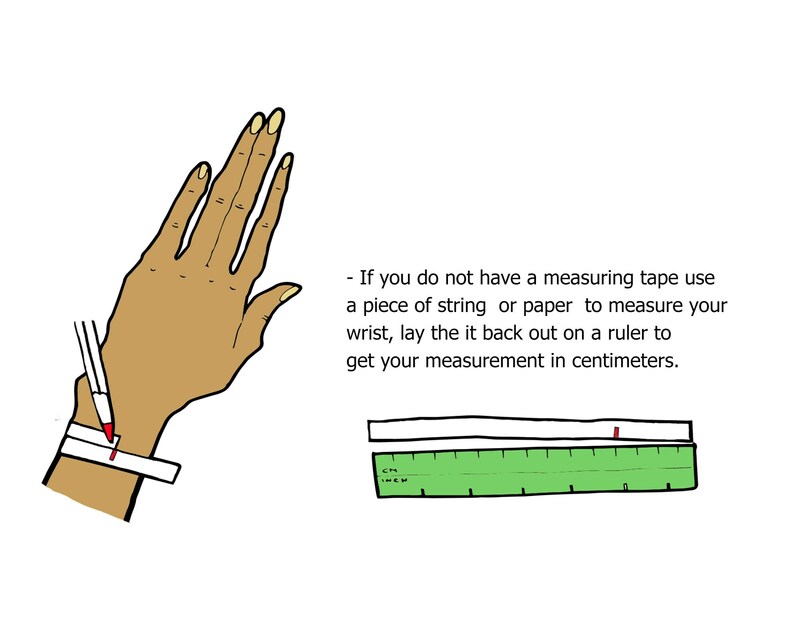 - If you do not have a measuring tape use a piece of string to measure your wrist and lay the string back out on a ruler to get your measurement in centimeters. - Please specify the exact number on the measuring tape, we will make sure your bracelets will fit you nicely. 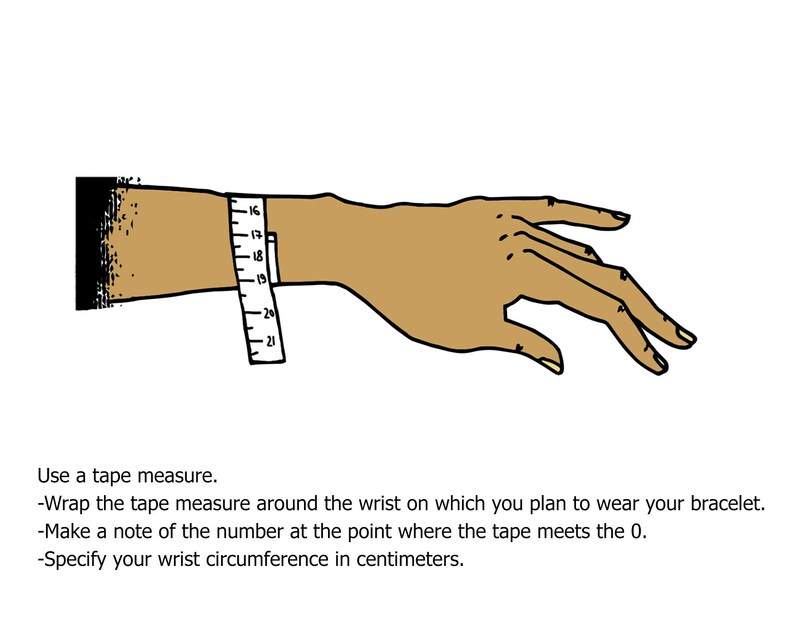 We need your wrist exact size.